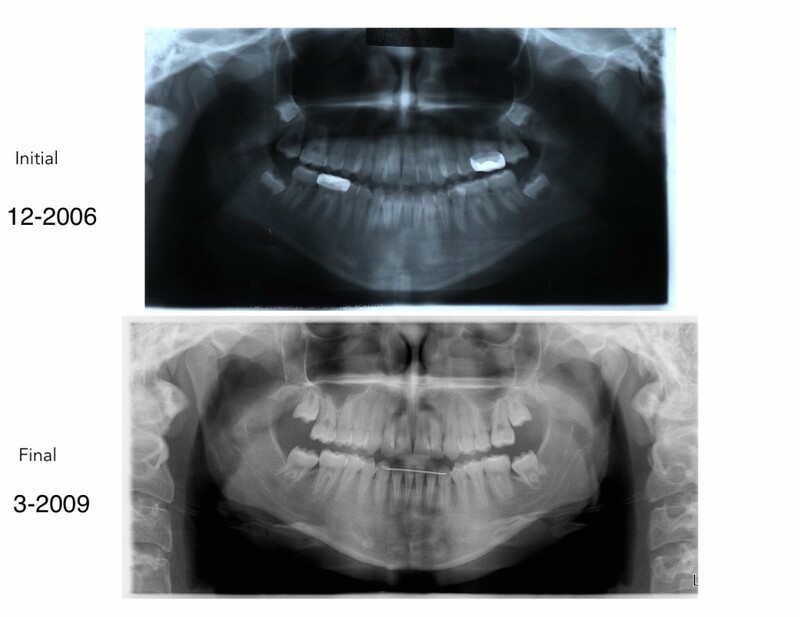 Here is an older teen patient that I recently finished who presented with a very narrow jaw, severe crowding and a significant protrusion of teeth. 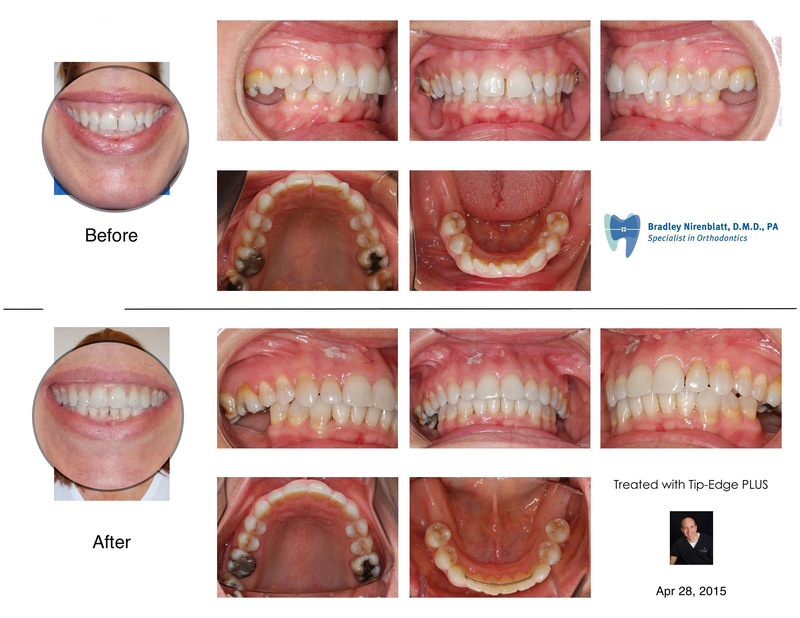 I treated her with extraction of 4 teeth and tip-edge braces in 20 visits. Notice the improvement of her smile; it is wider than it was previously. Her midlines are perfectly aligned and her protrusion and overbite are ideal. For the last 25 years in Charleston, My staff and I have treated patients of all ages not just kids and teens. 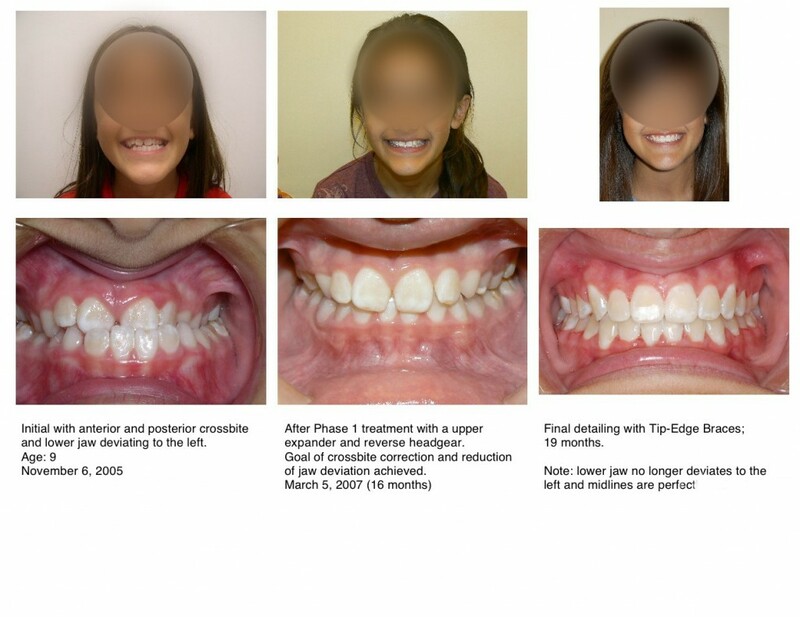 Let us know if we can help you with your smile! 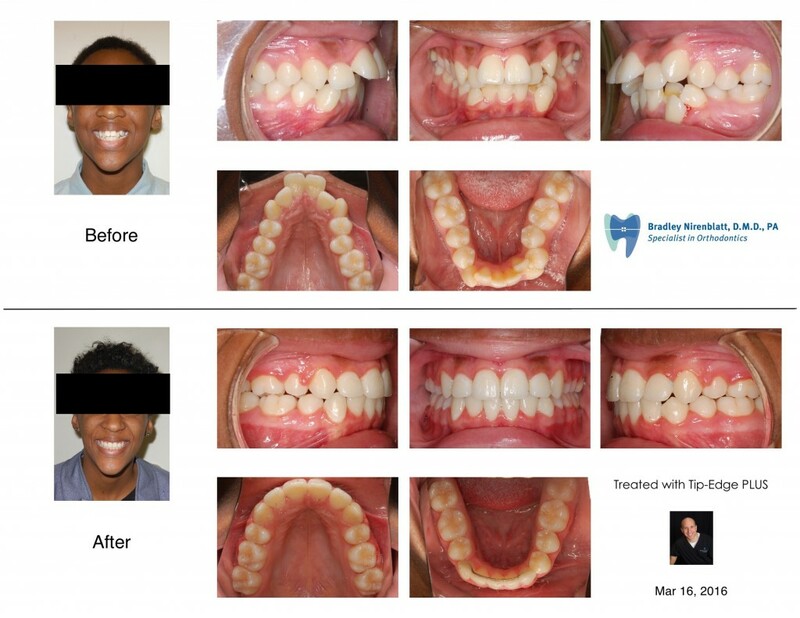 I was fortunate to have this young man return to my office for a new retainer 7 years after I finished his case. Everything looks great and even better than they did when I finished him without removing any teeth in 2008! 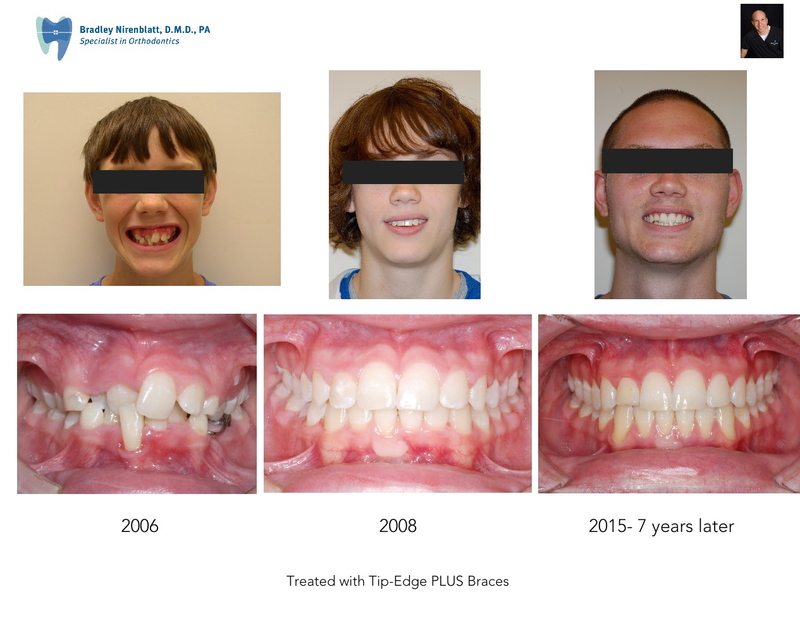 I continue to use Tip-Edge Braces on my patients for the best result. I just finished this young lady in her 40's. 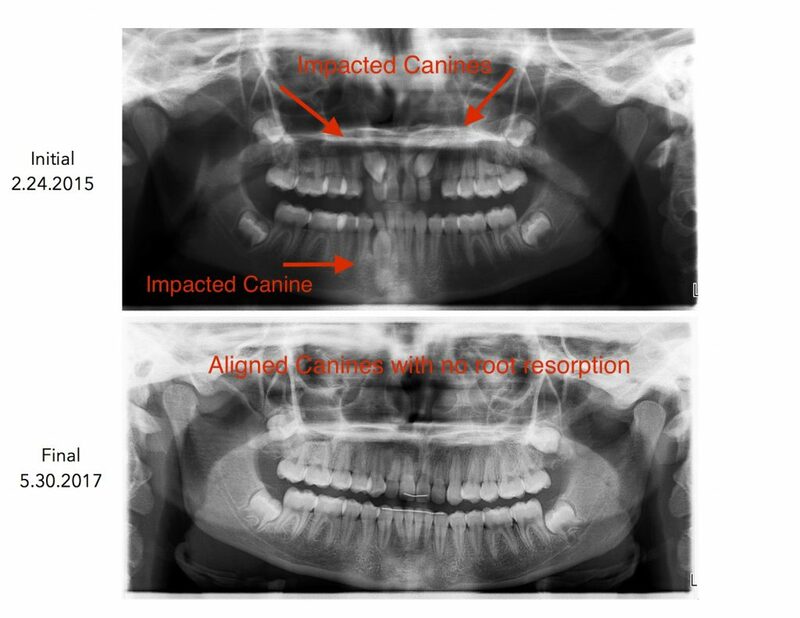 I helped her general dentist improve her bite so that she can have her back teeth replaced. 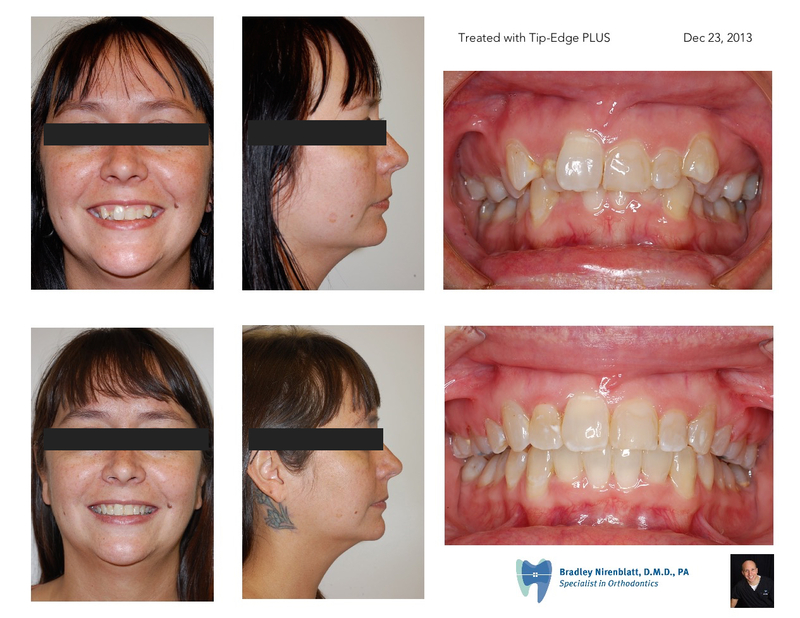 I also improved her smile by intruding her upper front teeth to reduce her "gummy smile". 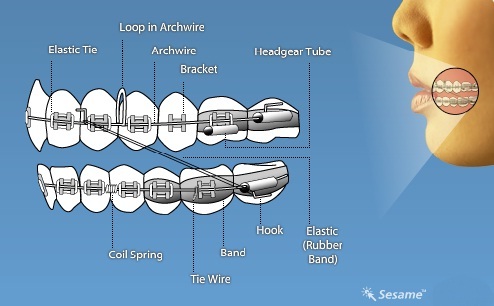 Most children do not need "early braces". However, when children have an underbite early treatment is needed to prevent the lower jaw from growing into a sideways position. 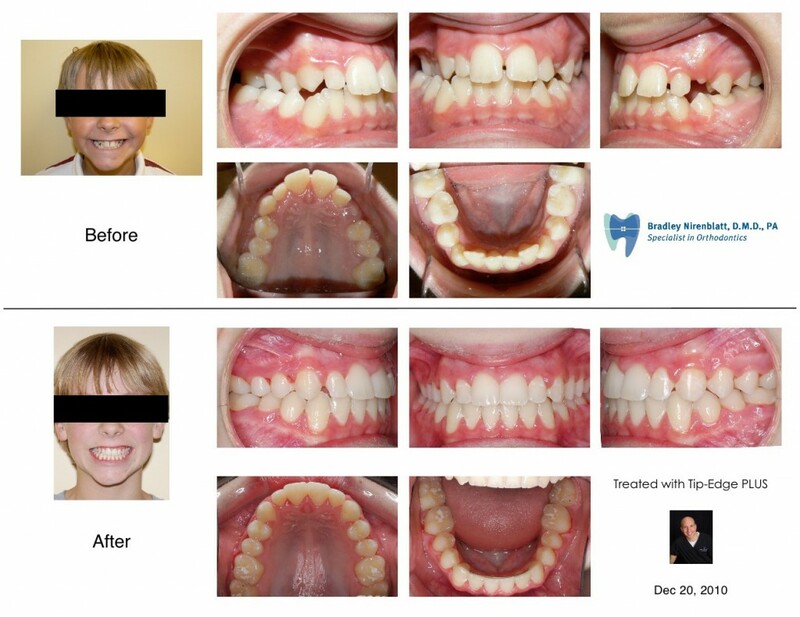 If treatment is delayed until the typical 12 years of age then there is an increased likelihood that the child's bite will not be fully corrected without jaw surgery. 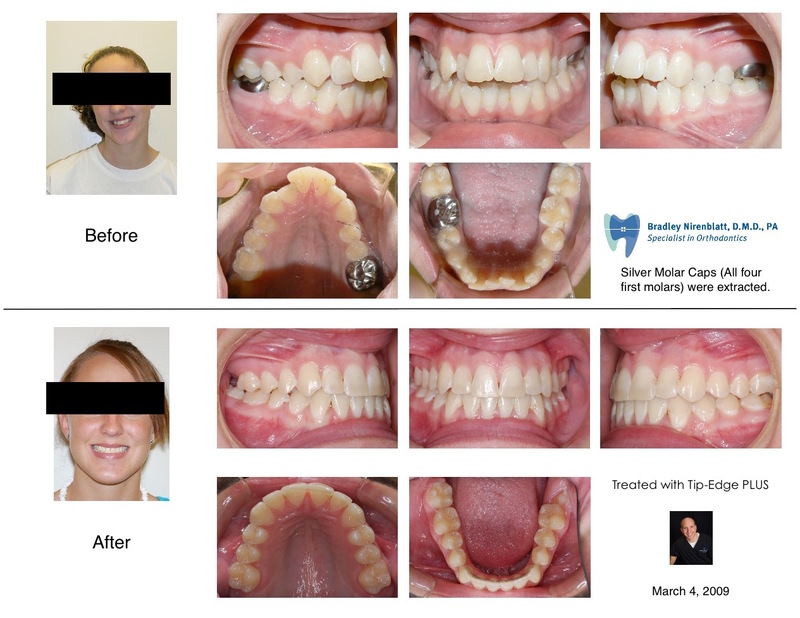 This is a patient that I treated early for her jaw problem and then again later at age 12 to align her teeth. This is a successful "2 Phase" treatment. 10. Make time for the pros. It’s your job to take care of the everyday cleaning. But make sure to visit your dentist regularly while in treatment, to get the deep, thorough cleaning that only a professional can provide. If you need help finding the right Dentist for you, feel free to contact our office - we’d love to help! 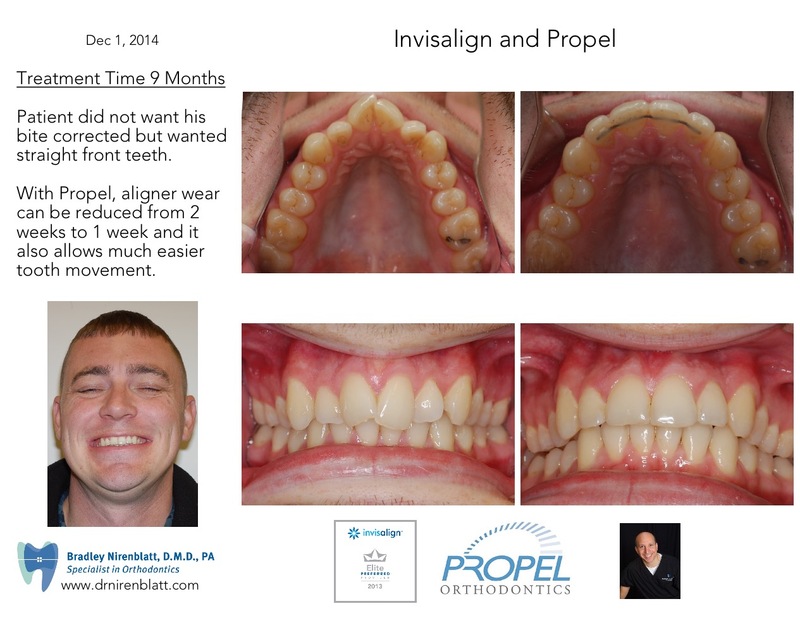 Dr. Bradley Nirenblatt will tell you that keeping your teeth clean is more important than ever when you have braces. Food bits have more spots than usual to hide in your mouth, so you must be diligent in order to avoid bad breath, swollen gums, discolored teeth and cavities. If you remove plaque regularly during treatment, you'll experience better results and could possibly reduce your treatment time. Here is a very concise video explaining the proper way to floss your teeth with braces. 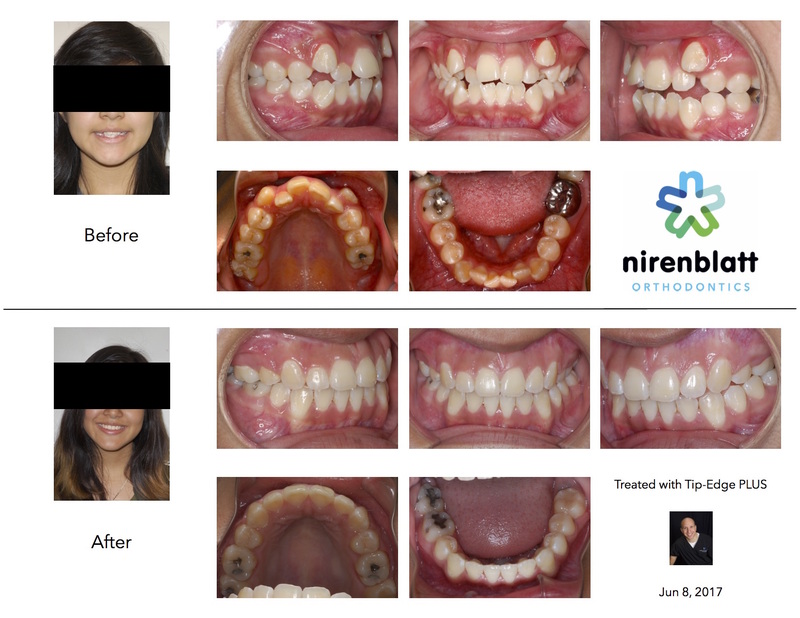 Give Nirenblatt Orthodontics a call if you have more questions about flossing. Enjoy! Now that I have braces, what can I eat? 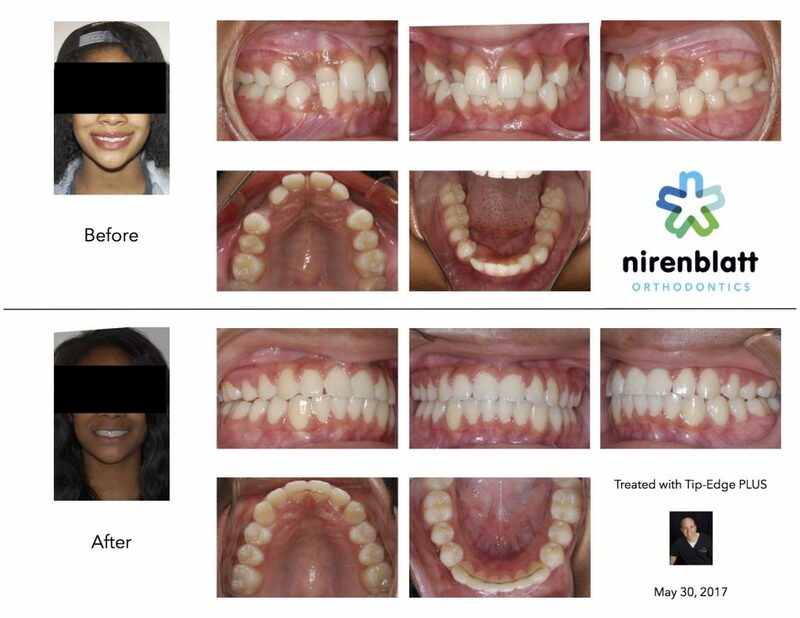 You just got braces at Nirenblatt Orthodontics and Dr. Bradley Nirenblatt has informed you that during your orthodontic treatment you will want to avoid eating anything sticky, hard, crunchy, or chewy. What does this leave for you to eat? Lettuce? Nothing? Luckily, our friends at the American Association of Orthodontists, or AAO, created a variety of “braces-friendly” recipes that will allow you to enjoy your favorite treats without interfering with your orthodontic care! Recipes include main dishes, side dishes and even yummy desserts! After all, a healthy diet provides essential nutrients and helps the patient achieve the best possible results from orthodontic treatment. If you have any questions about the recipes listed or about the foods you should be avoiding during your orthodontic treatment, please give us a call or ask us on Facebook!